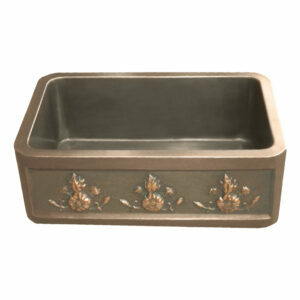 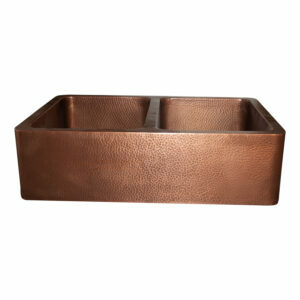 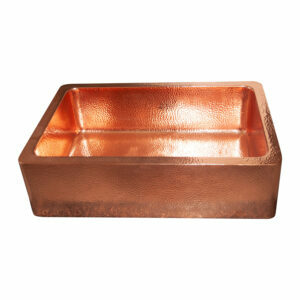 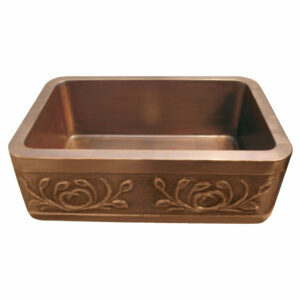 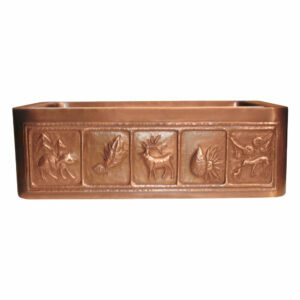 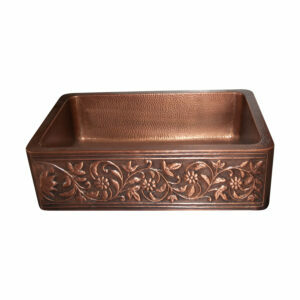 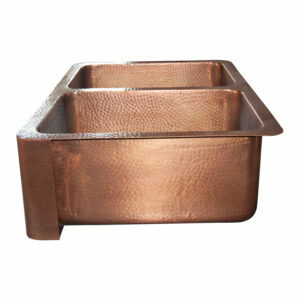 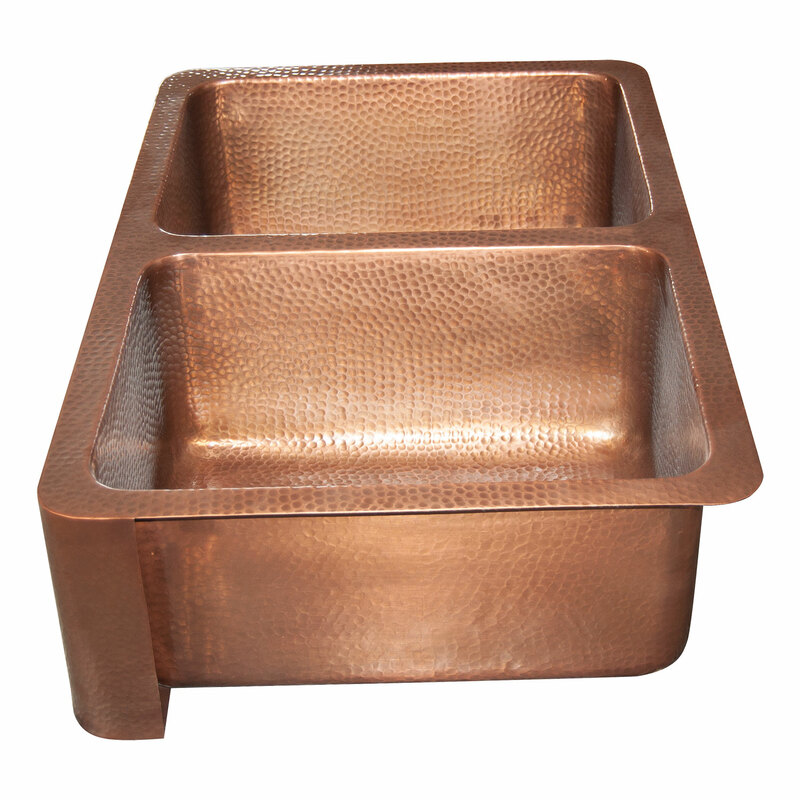 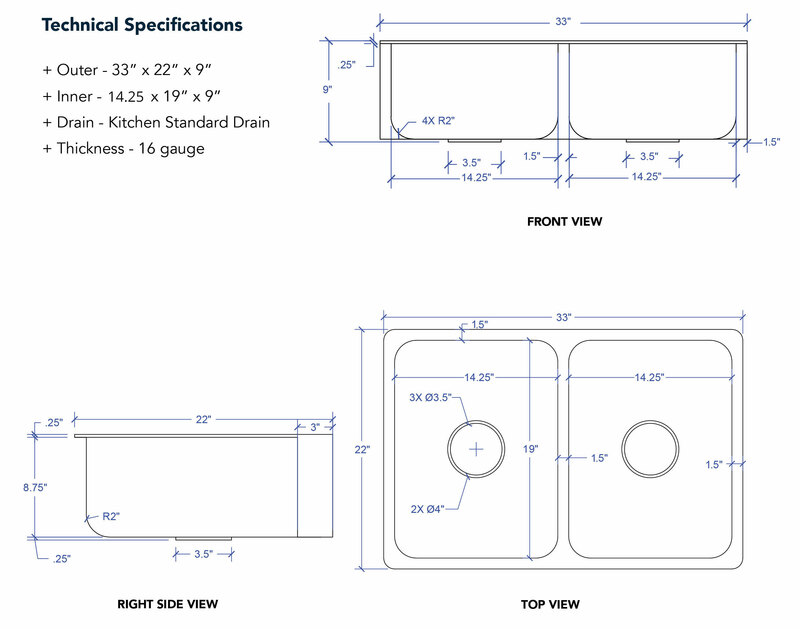 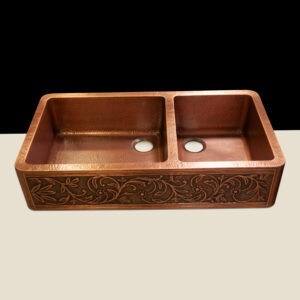 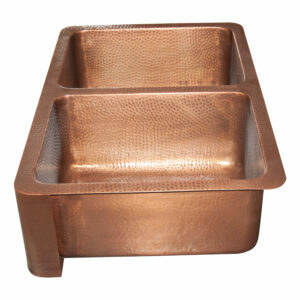 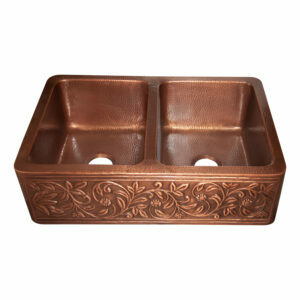 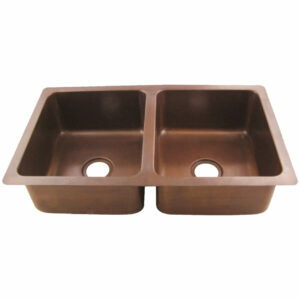 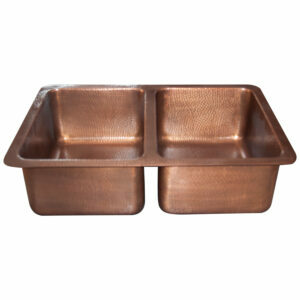 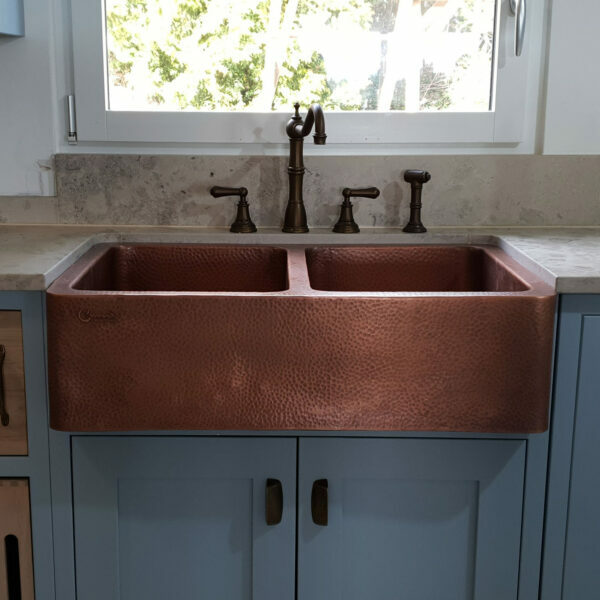 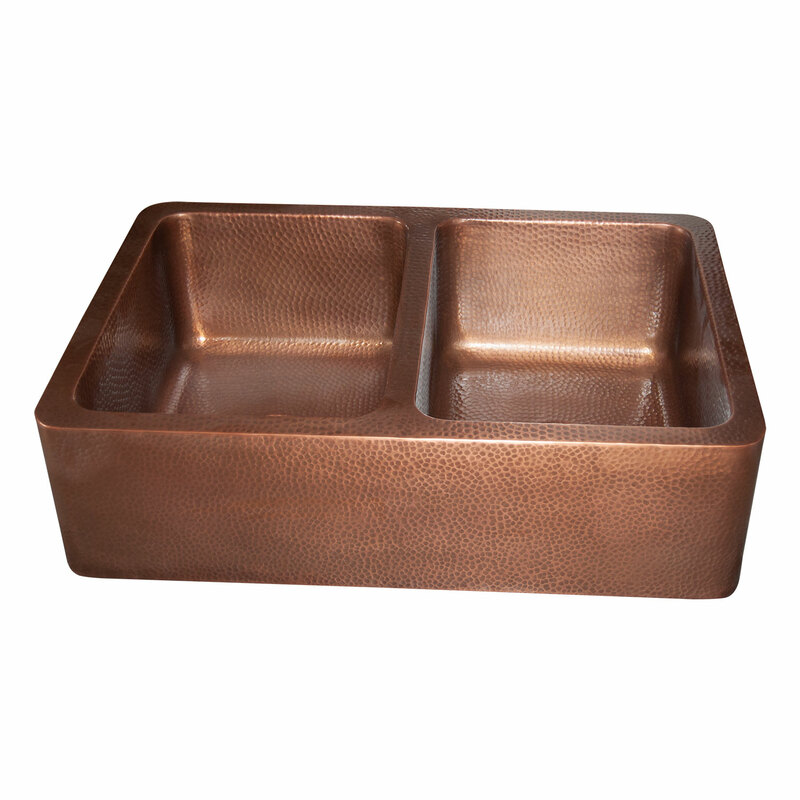 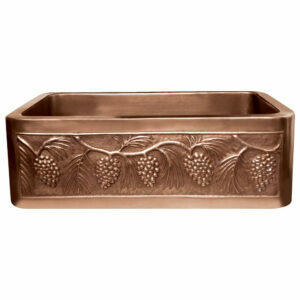 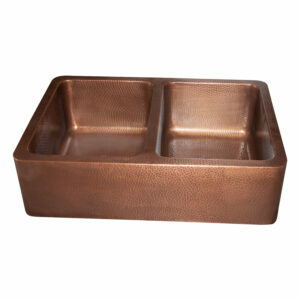 Hammered Front Apron Double Bowl Copper Farmhouse Sink is a beautiful handmade 16-gauge copper kitchen sink made to last for the entire lifetime of your kitchen. 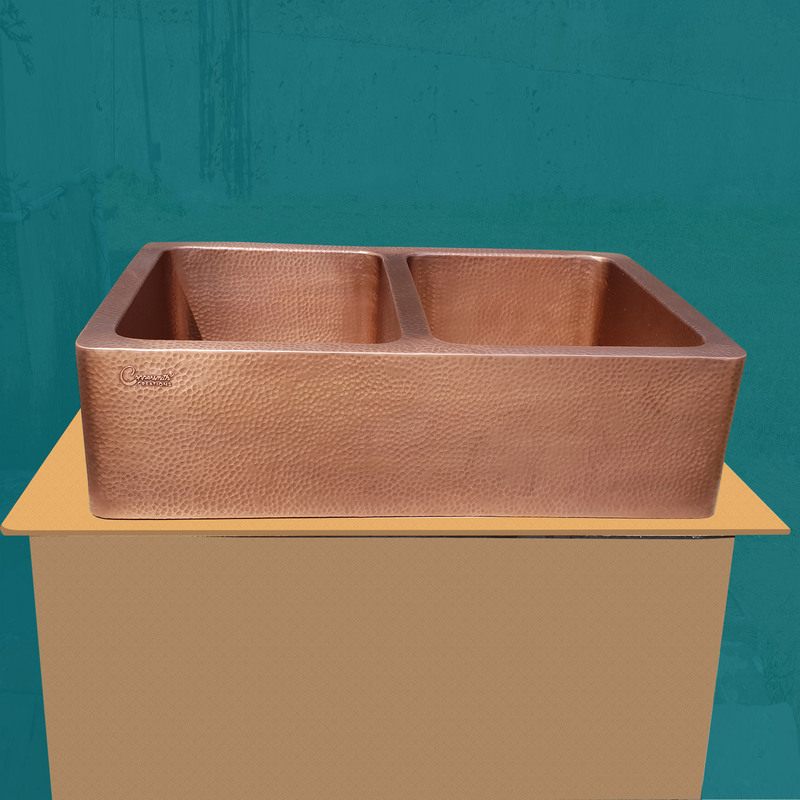 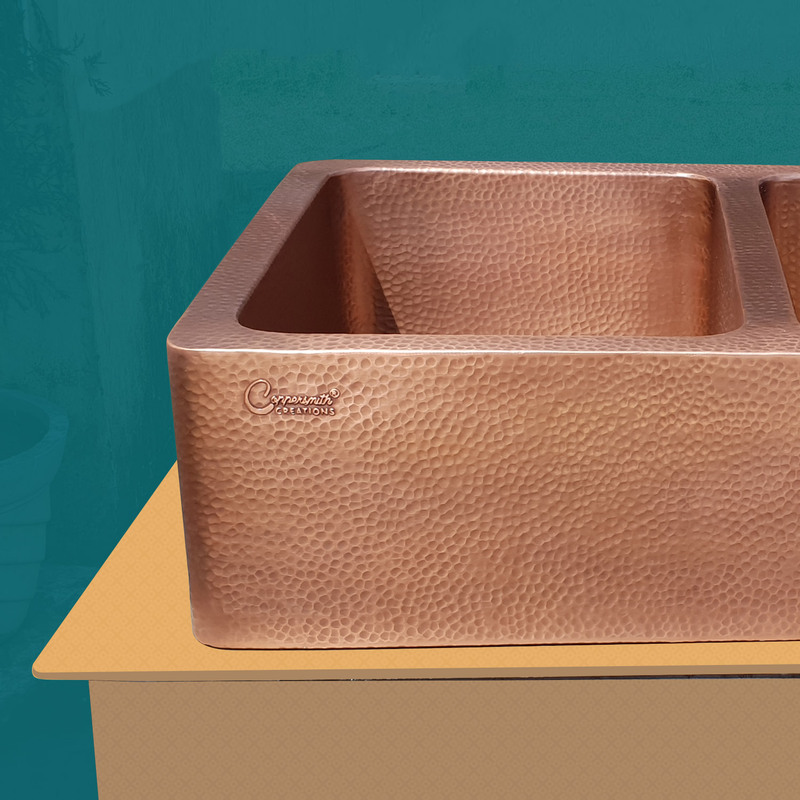 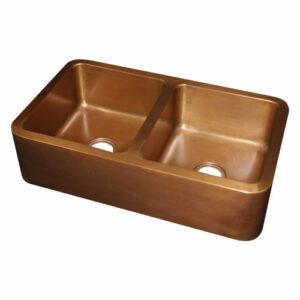 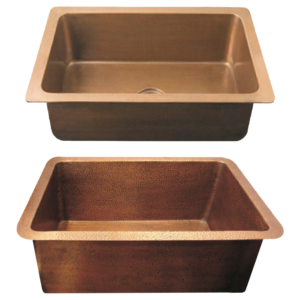 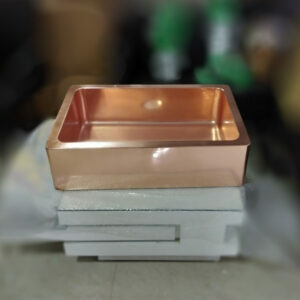 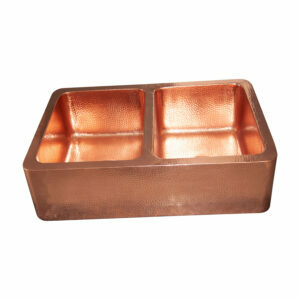 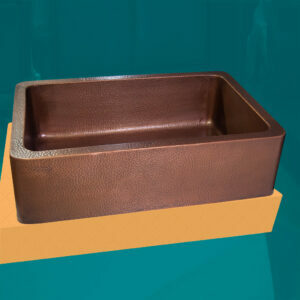 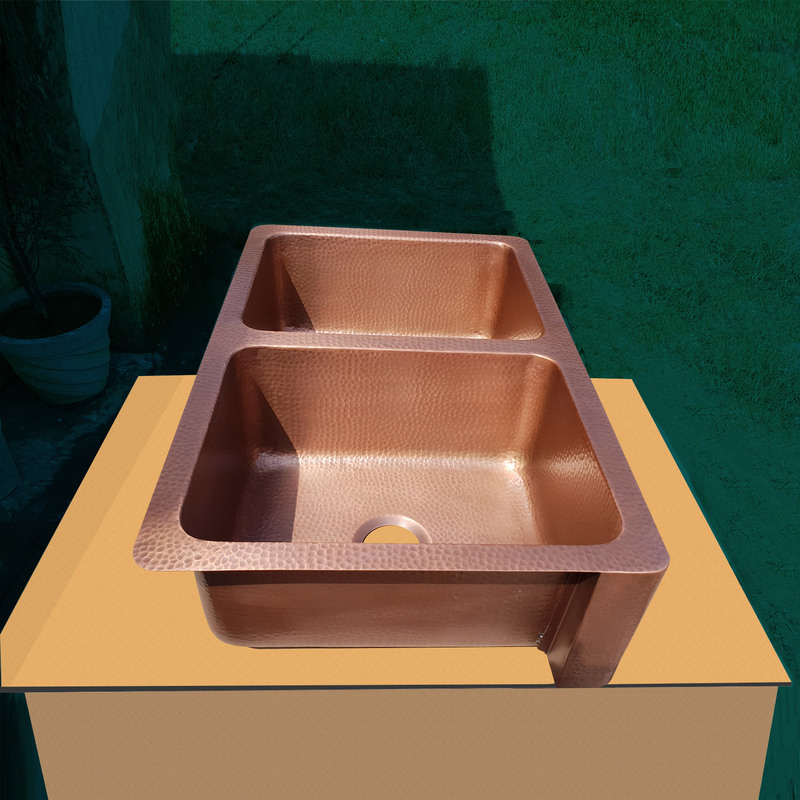 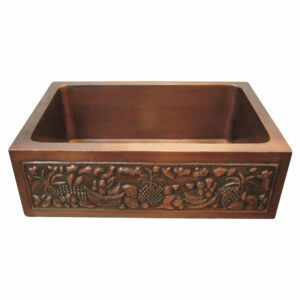 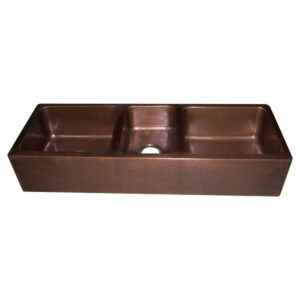 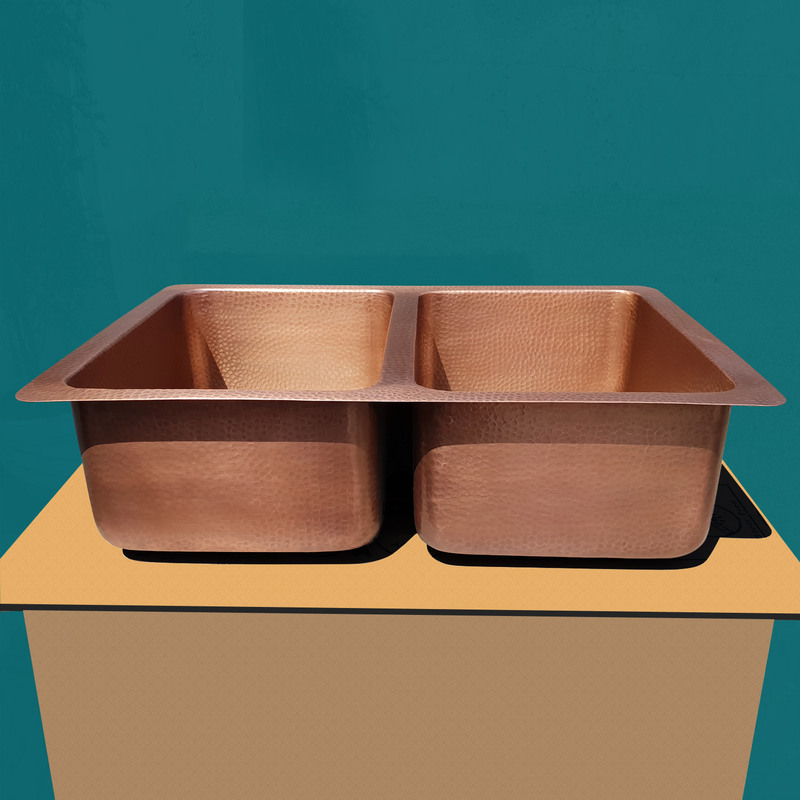 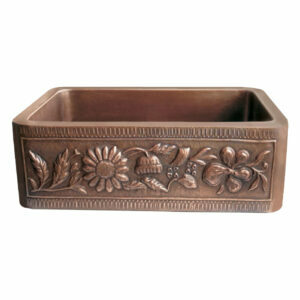 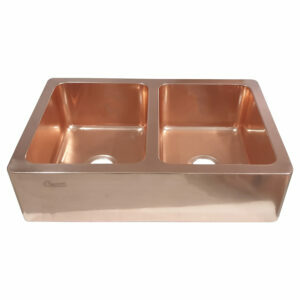 Copper sinks are being preferred more and more in kitchens these days owing to their natural antimicrobial properties that do not provide favorable conditions for the bacterias to live. 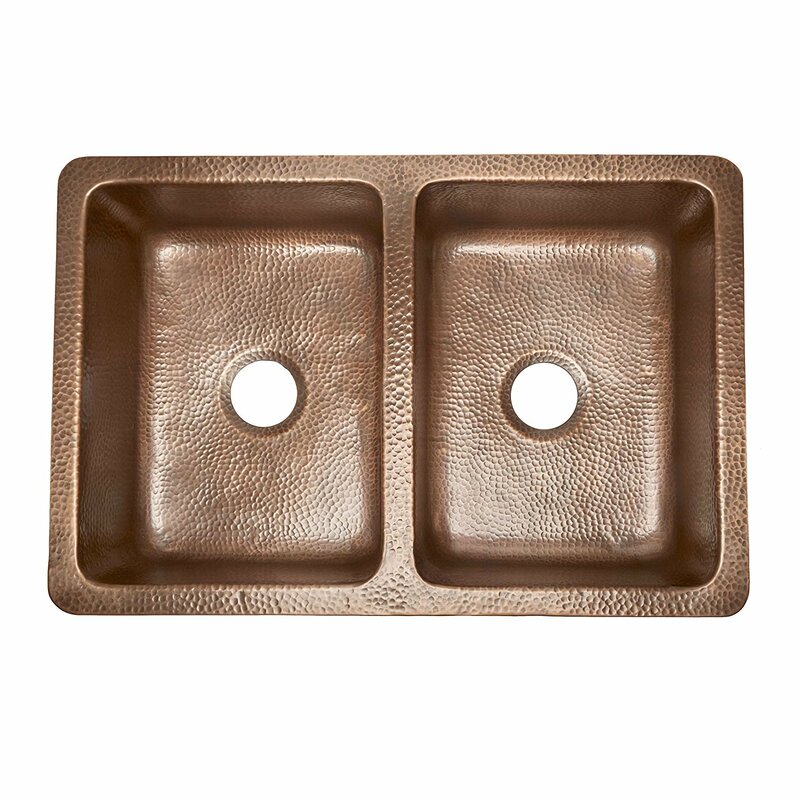 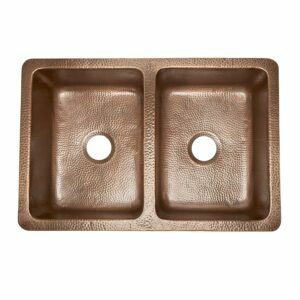 Double Bowl Copper Kitchen Sink Front Apron Hammered Antique Finish is an essential fixture for your kitchen to make it bacteria-free and give your kitchen a distinctive look that is timeless.